The workshop and conference takes place at the Washington Marriott Georgetown hotel. 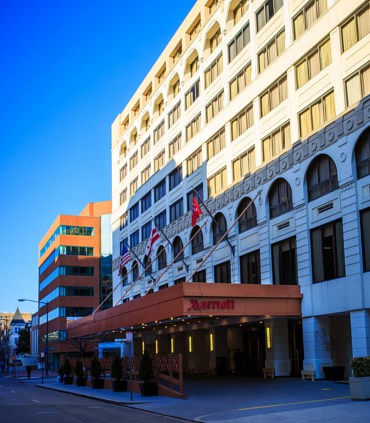 Steps away from two Metro stops and a short walk to both Dupont Circle and Georgetown, the Washington Marriott Georgetown offers a convenient location for exploring popular neighborhoods and attractions, including Foggy Bottom, Georgetown and George Washington University. A discount room rate of $ 229 USD per night (excl. 14.5% taxes), has been negotiated.